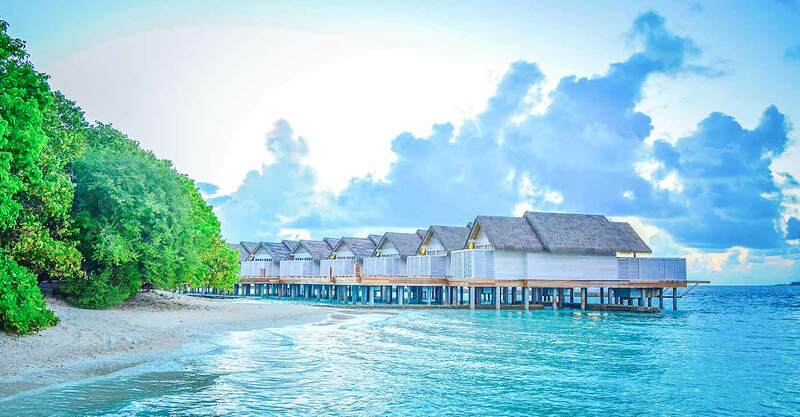 Breathe in the beauty of Maldives as you indulge in the superior comforts of our Water Villa. 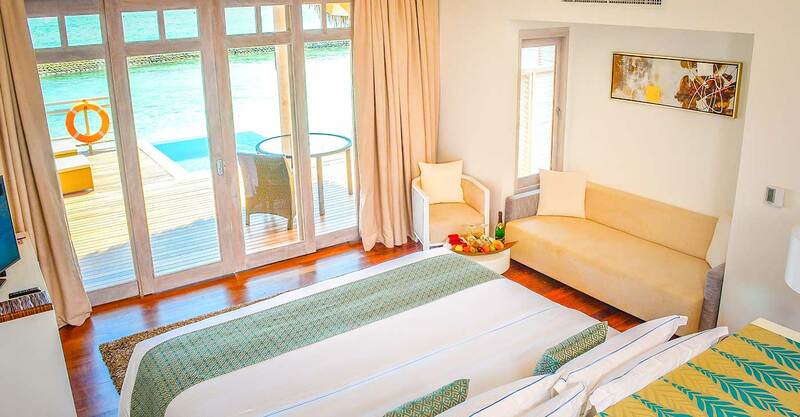 Idyllically floating on the calm waters, take in the unhindered views of the azure ocean from your well-appointed room. 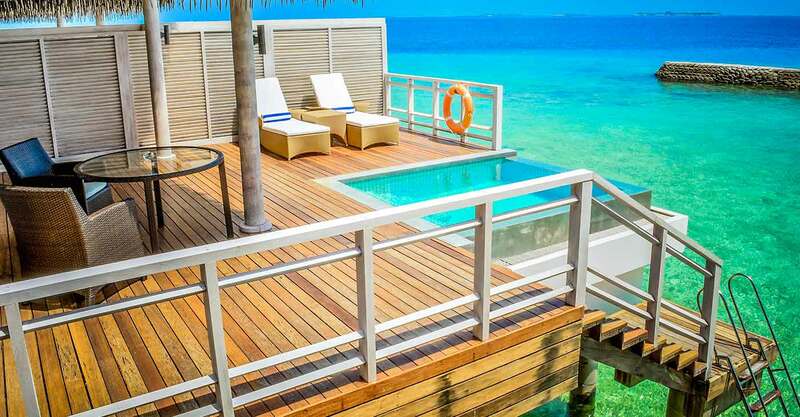 Regarded as one of the most exquisite water villas in Maldives, complete with an infinity plunge pool, sun deck and direct access to the blue lagoon, your holiday on this paradise island begins here. Indulge in luxury at our water villas that offer amenities including a private infinity plunge pool and a Jacuzzi bathtub. 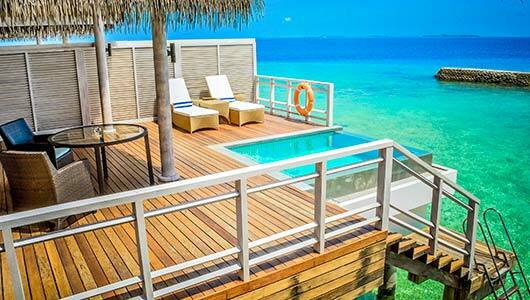 Find your way into the refreshing embrace of the turquoise ocean waters from the private sun deck of your Water Villa. 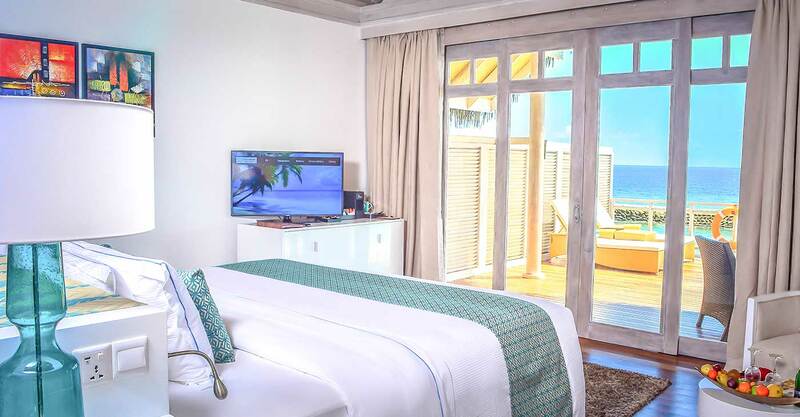 Floor to ceiling windows allow you to wake up to stunning views while letting in ample sunshine to your gorgeous villa. Water Villas are not ideal for families with children. 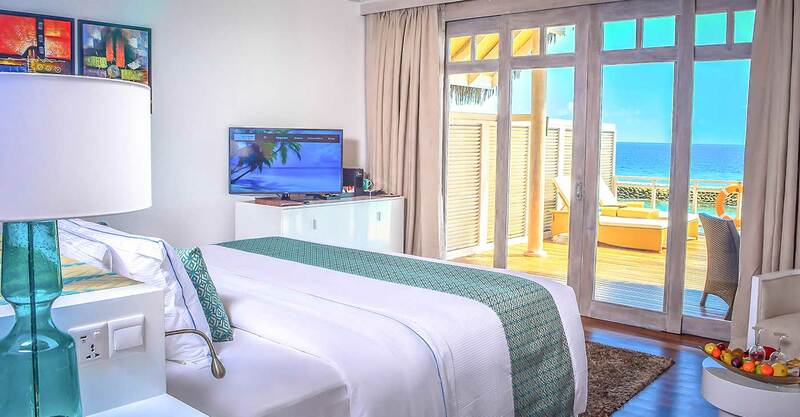 Families can instead be accommodated in the Family Duplex Beach Villas or the Presidential Suite. Extra blankets, towels, boards and baby cribs are also available on request. A non-refundable prepayment is required to confirm your reservation. 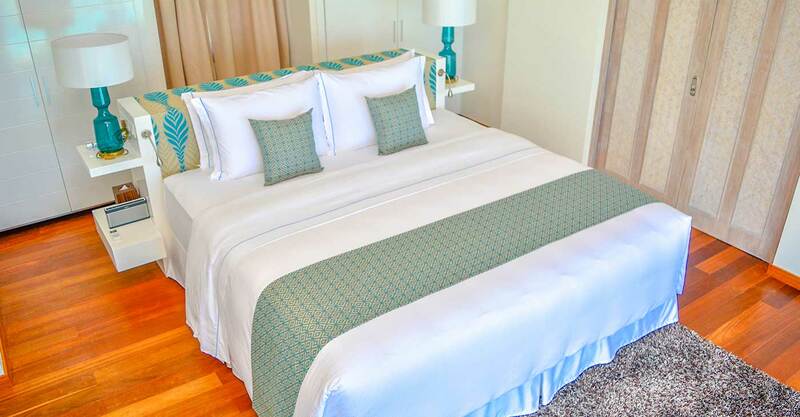 14 days prior to the arrival date, cancellation fees will be 50% of the room / nights booked, while seven days prior will incur 100% of the room / nights booked. Please refer our Terms & Conditions page for more details. In-villa dining –from 7:00 a.m. to 10:00 p.m.